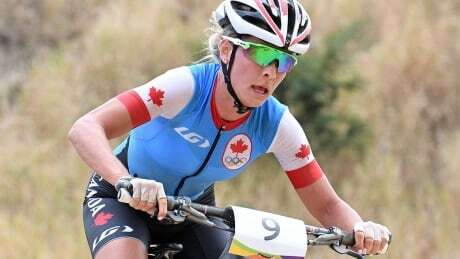 Canadian Emily Batty raced to bronze at the mountain bike world championships on Saturday. The product of Brooklin, Ont., finished one minute, 58 seconds behind American Kate Courtney. 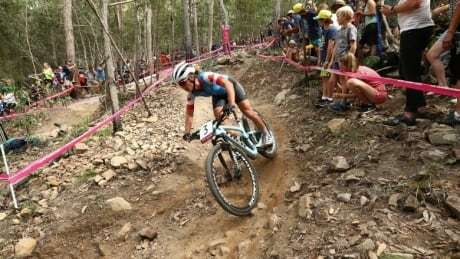 Canada's Emily Batty finished third in the women's elite cross-country race at the UCI Mountain Bike World Cup in Mont-Sainte-Anne, Que., on Sunday. Watch live as Canadian Emily Batty takes aim at her first-ever gold this weekend at Mont-Sainte-Anne, Que., the lone Canadian stop on the UCI Mountain Bike World Cup tour. 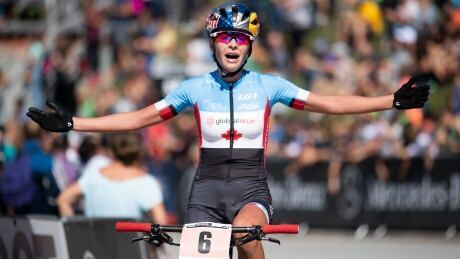 Still on the mend from crushing disappointments in 2012 and 2016, Canadian Emily Batty will take aim at her first-ever gold again this weekend at Mont-Sainte-Anne, Que., the lone Canadian stop on the UCI Mountain Bike World Cup tour. You are currently browsing the archives for the Sports/Olympics/Summer Sports/Cycling/Mountain Bike category.